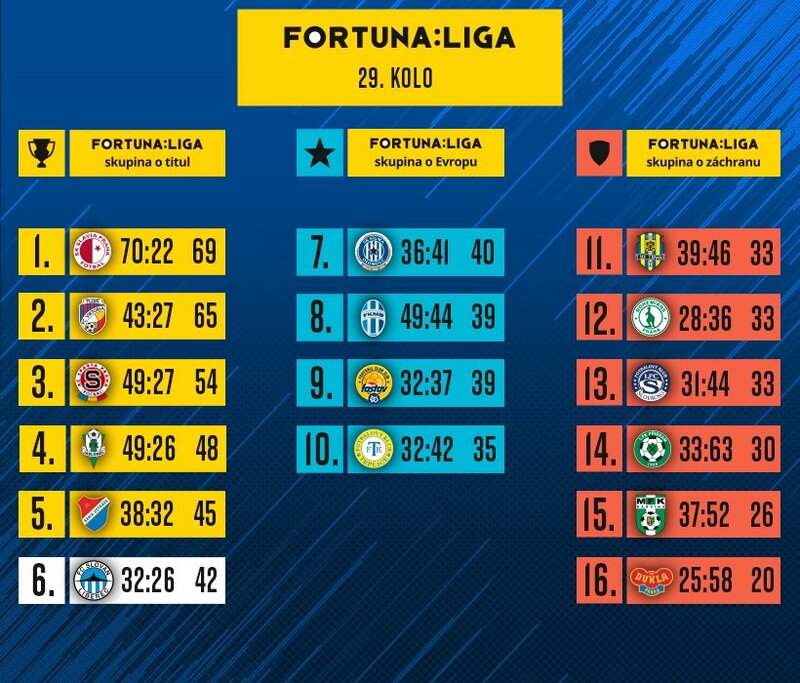 In the 18th round of the FORTUNA: LIGA, Slovan played their last home match of 2018 against Opava. Most recently, these teams drew 1-1 in the fourth round. This time, it looked like the result would be the same, but then Ševčík was red-carded and Simerský scored six minutes before the end. Home Slovan on Opava failed to answer and lost 1: 2. Referees: Houdek - Mokrusch, Ratajová. Prior to the kick-off of the match, club director Mr. Kleibl congratulated our captain Radim Breite for his 100th first-league match. Slovan began the game the more active side, but the first goal went to Opava, on a header from Jakub Janetzký in the 7th minute. Then In the 14th minute, Oscar had a free kick from a decent position, and Roman Potočný re-directed the ball from the edge of the area into the goal to make it 1-1. After the goal, Slovan continued to get chances. First, Breite fired from a distance, then Potočný beat him, but neither of the shots found the target. In the 27th minute, Ševčík left the ball on top of Breite, the captain fired at the goal and Fendrich denied the shot. Before the end of the first half, two situations occurred that the hosts felt warranted a penalty – first, Malinský was felled and then the Liberec players claimed a handball – but neither was called. There were no more chances before halftime, so the teams went to their dressing rooms tied. The first shot of the second half came from Ševčík, which got the home crowd excited, but the defending champion could only hit the corner. After the corner kick of Opava, Židek got a head on it and Nguyen covered the ball. After two Liberec substitutions, Slovan were able to put on more pressure, but that didn’t translate into any dangerous attempts. Meanwhile, Opava sat back and weathered the storm, looking for a chance to counter. The Silesians moved their players up the pitch and threatened by air in standard situations. The latch on one of the chances went just above the bar. The end of the match was dramatic because Ševčík was sent off after a foul in the 80th minute, having already incurred a yellow. The corner kick from 85 minutes was even worse. The ball bounced directly to Dominik Simerský, who did not hesitate to fire it past Nguyen. Slovan tried to answer in the remaining time, but were not able to create much, other than Potočný&apos;s blocked shot. Therefore, the last home game of the calendar year ended in defeat, 2-1 to Opava.